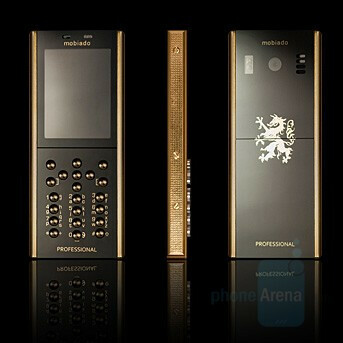 Last month, Mobiado Professional 105 ZAF was announced as the slimmest luxury phone on the market. Although it sure captured our eye with the usage of large sapphire crystals and other high-end materials, it didn’t look really exclusive in most of its six color variants. The Canadian manufacturer today fixes that, with the announcement of the 105 EM and 105 GCB. They exchange the stainless steel buttons with sapphire ones, and the letters and numbers are painted with 24k gold. The biggest change is that the aluminum housing is replaced with exotic wood for the first and gold for the second. The 105 EM will be available in either Cocobolo or Ebony variant, and it is a matter of taste, which one you will like more. Each of these phones will be unique, as every tree is. The 105 GCB is definitely a statement-maker, with its 24k gold housing. It looks like a t.v. remote control. Hideous...PLUS it's canadian, 2 strikes against them. 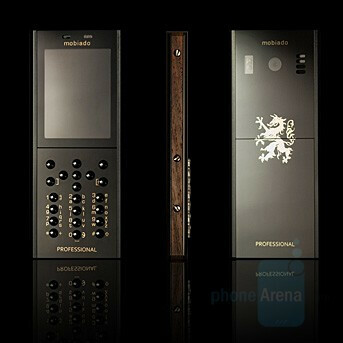 You don't really know what a high-end phone is, do you? Its a crystal dial remote... I think I would rather dip my remote in gold and carry it around before I showed that phone off and revealed the price to them. Thats just ludicarious.